After Topshop’s first makeup collection was launched this time 2 years ago, I thought I’d look back at the products I’ve bought and which ones have stayed with me. I have a few nail varnishes of theirs, (considering I find they make that stand so eye catching it’s impossible for me to get myself away) and my all time favourite so far is Nails in Waterlily. I bought mine on the website, however it’s not currently on there; probably because it’s sold out! I’m wearing it at the moment, as it’s a beautiful spring shade. It’s a very pale colour; a white- lilac that’s perfect for this season’s pastel trend. 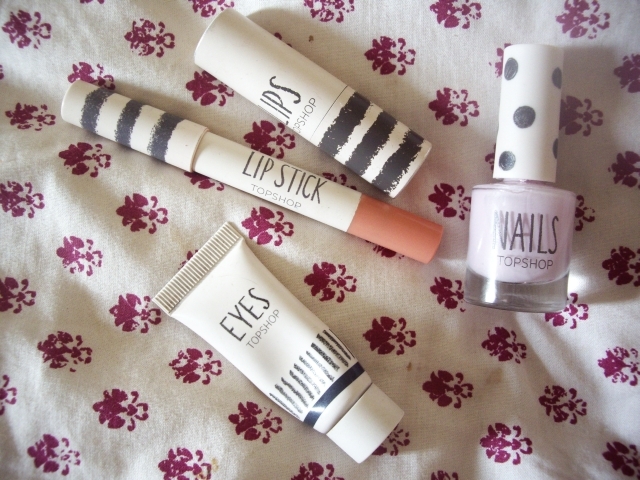 One of my favourite lipsticks out of my collection is Topshop’s Lips in Brighton Rock. I’ve had this for over a year now at least, and it’s still available to buy online. It’s a satin matte finish, which gives a creamy application and isn’t drying. Brighton Rock is a hot pink; it’s not too bright, and gives a deep, rich colour. I love this lipstick and everything about it! My second favourite lipstick of Topshop’s is Lip Stick in Coy. It’s a pencil, which is annoying as I’ve used it to the point of it being blunt and I need to buy a crayon sharpener! But apart from that, I love this lipstick. 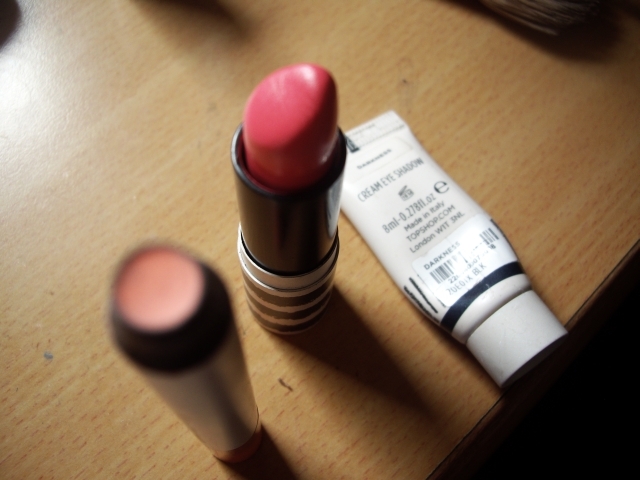 It’s not as moisturising as Brighton Rock, but still gives a creamy, matte finish and is a light coral shade. I’ve only had this for about a month, but I want to carry on using it because it’s such a nice colour. My final favourite Topshop Makeup product is a cream eye shadow. Eyes in Darkness is a black, metallic eyeshadow with a thick, cream consistency. It’s easy to blend, and is perfect for making your eyes look more dramatic. 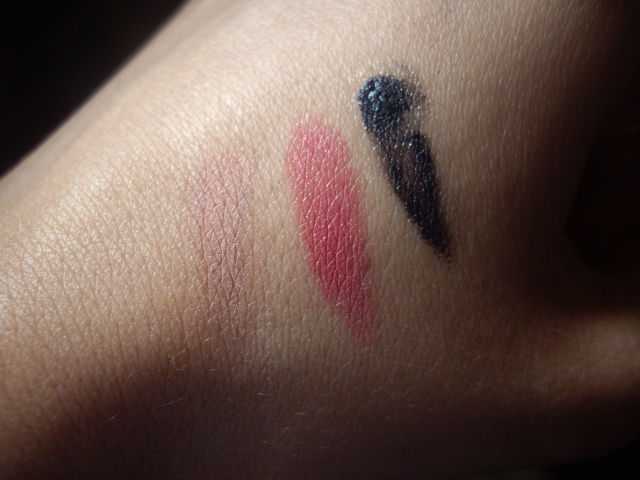 This was my first purchase of Topshop’s makeup, and I’m not sure if they do this colour anymore. If they don’t, it’s a shame because it’s such a good eyeshadow and I know I’ll want to repurchase when I run out. I’m still buying Topshop makeup so I’ll definitely end up with more favourites; I think as a whole the quality of their collections are spot on.